Keep your feet feeling fresh as you put time in on the practice pitch or at the gym with the 2 Pack of Dri-Fit Lightweight Quarter Training Shorts in White made by Nike. 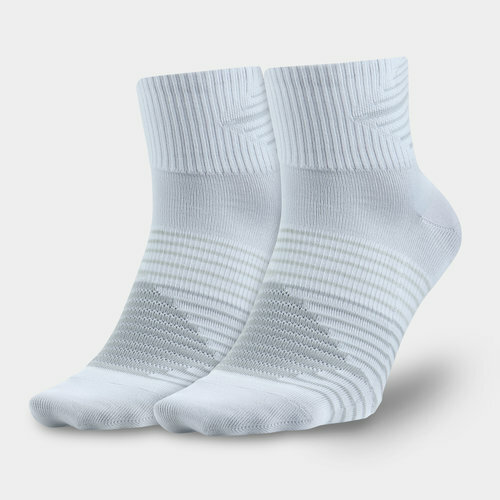 These quality trainer socks from Nike are quarter length and the collar sits just above the ankle. Made from nylon, cotton, polyester and elastane, these socks feature Dri-Fit technology to absorb moisture and quickly dry off, keeping your feet feeling fresher whilst you train. Arch compression and a supportive fit ensure they deliver comfort time and again. Ideal for a wide variety of sports and different types of fitness and training exercises, pull on the Nike Dri-Fit Lightweight Quarter Training Socks, available in a pack of two pairs.